Hawaii is consistently one of the top vacation destinations in the world. We have a lot to offer from sandy beaches, warm water, beautiful reefs, great activities and wonderful things to see. Almost 10 million visitors grace our shores and feel the Aloha every day they are with us. Come to Hawaii and experience the differences between Oahu, Kauai, Maui and the Big Island of Hawaii have to offer. Each of the Hawaii tours and activities includes great service and support because we believe every day of your vacation is priceless. Save Big on Group Tours in Hawaii. Whether you’re a group of 4 or 400+, we can pick you up from your Hotel, Airport or Cruise Ship. We can provide your transportation and activity needs on all islands in Hawaii. We can handle all your needs for schools, bands, corporate retreats, team excursions and so much more. Call us to find out more. How many days should I spend in Hawaii? A week is a good time frame to see an island with a few days for relaxing at the beach but with 10 to 14 days you can feel comfortable splitting up your time between two islands. 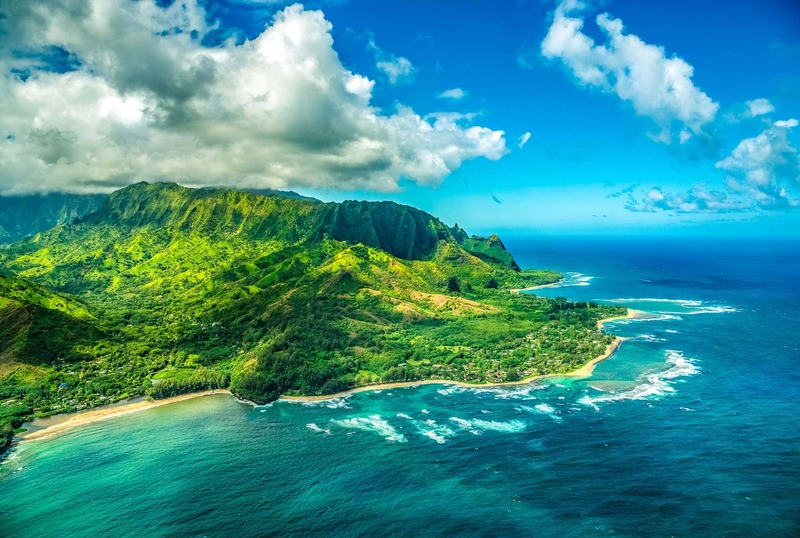 The smaller islands of Kauai and Oahu can be enjoyed with 3 to 5 days but Maui and the Big Island both need a bit more time as you will have more ground (and activities) to cover. 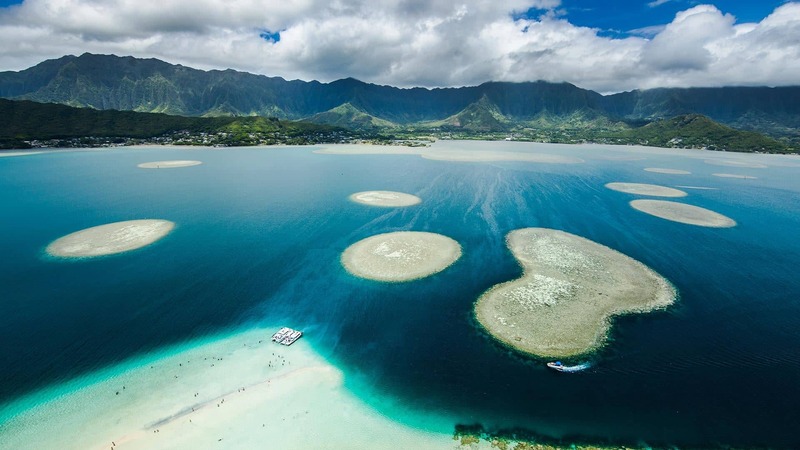 Which is the best Hawaiian island to visit for the first time? While there is no real wrong answer about where to go in Hawaii, Oahu is the most visited with over half of all Hawaii visitors stay here. The island is considered the most affordable and the most accessible. Excursions to another island for the day are easy from Oahu. Though any time of the year is beautiful in Hawaii peak season (meaning most expensive) is mid December through March and mid June through August. Low season is spring (April thru mid June) and fall (September to mid December). Plan well and book early for peak season travel. Hawaii is the only state that grows coffee and more than one third of the world’s commercial pineapple is grown here. There are four main islands (the Big Island, Maui, Oahu and Kauai) and four smaller islands – Lana’i, Molokai, Niihau (off limits to visitors) and Kahoolawe (uninhabited). What food is Hawaii known for? Traditional Hawaiian food consists of dishes like kalua pork (roasted in an underground oven), chicken long rice, poi, laulau and lomi lomi salmon. These dishes can be found as a plate lunch (served with rice and mac salad) or enjoyed at a luau. Hawaii basically has two seasons – the dry season (April thru October) and the wet season of (November thru March). Tropical storms or hurricanes can develop nearby in the summer months but the cool deep waters to the east of the islands often deflect or knock out big summer storms. How far in advance should I book flights? Hotel? If you’re traveling during peak season (summer and winter months) at least a month or more in advance is a good idea. During the low season a few weeks in advance is usually enough to find desired lodging and flights. What activities should I book before I arrive? 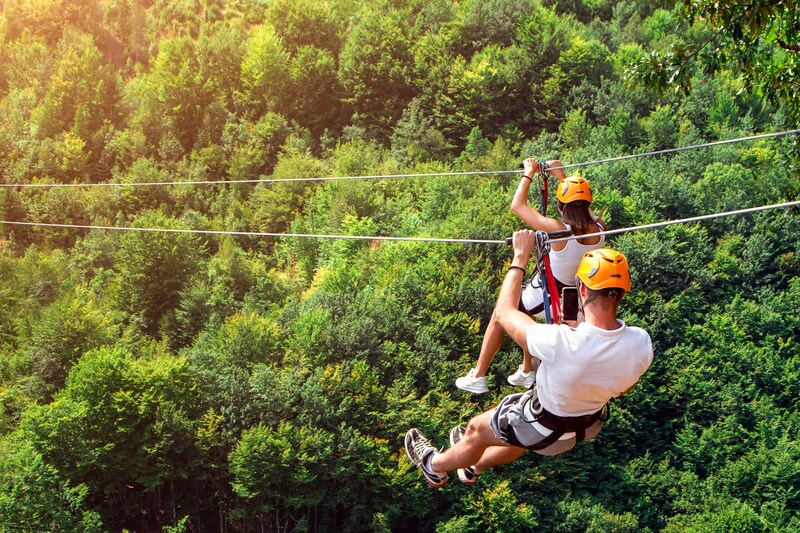 Peak season activities should be booked 2 to 3 weeks before arrival but some of the more popular stuff like zipline tours and well known luaus can require earlier bookings (4 or more weeks). Should I book a tour or do it on my own? Some things are easy to do on your own, like getting in some beach time or strolling around town. However many adventures are much better with a guide. Tours often have access to remote locations and guides provide insider knowledge about the history, flora and fauna and other things to do on the island. Taking a tour is the easiest way to relax and not have to think about food, where to go and how to stay safe and comfortable during your excursions. This is to thank you and your company for taking us “under your wings” and providing us with the most amazing spring tour ever!! 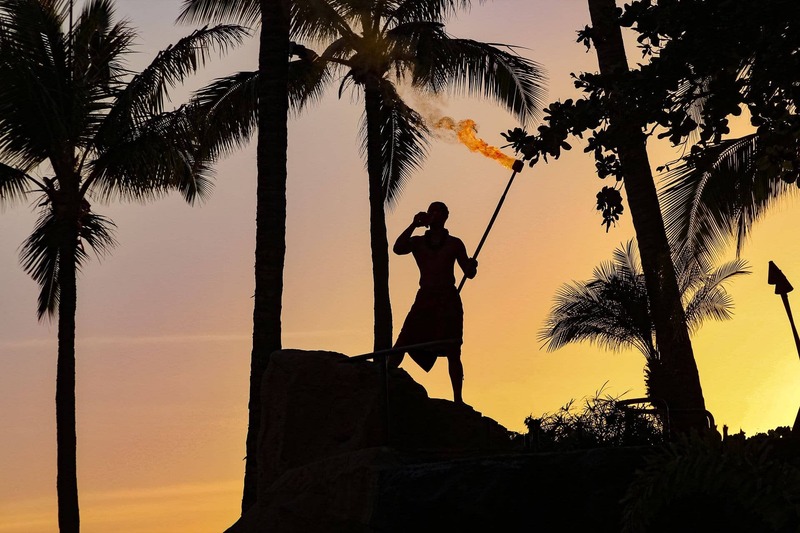 We felt that you and your associates went the extra mile to ensure that we had everything in place to see the Polynesian Cultural Center as well as arranging for our opportunity to perform there. Also, transportation was provided to us that allowed us to see Pearl Harbor and attend the Swap meet. Not only that, your bus drivers were a wealth of information as we travelled to and from Laie which was extremely enjoyable (stopping to let us see turtles on the beach–a once in a lifetime event for most of us). They also took care that we (as a large group) and our luggage stayed together at the airport. The highlight of the trip, though, was the exchange with Kahuku High School. Our students are still talking about the fun that they had and commenting that missing two hours of “beach time” was worth it. We appreciate the extra effort and understanding that was extended to us. It has made a great trip into a memorable one. It would please us to be able to return the hospitality to Kahuku High School anytime in the future. Mahalo! Aloha! I recently visited Oahu with my grandmother, aunt, & mom. It was a little difficult finding activities to do together as a group due to the age/generational gap…my grandma just turned 80 & I’m 26. I just wanted to send a quick note to let you know how much we ALL enjoyed our visit to the Polynesian Cultural Center last Tuesday (4/21/09). The activities & demonstrations at the separate villages were both entertaining & educational. The Luau was delicious & the night show was amazing. We were all exhausted by the end of the day, but it was well worth it. My grandma said it was her favorite day of the whole trip! Most importantly, please be sure to let “Cousin” Leon know how much we appreciated having him as a host/guide. On all of the tours we went on during our trip he was definitely the best (not to mention, we all thought he was adorable)! Thank you so much for the great hospitality & wonderful memories. Bonnie SmithAloha from Kalispell, Montana! Can’t wait for next trip! My family and I great vacation in Hawaii!! We booked all of our tours through Hawaiitours.com and felt like true VIP’s. We had great coordination of all of our events and the knowledgeable staff led us all the way! We can’t wait for next trip!